Keep up with everything going on at the Mt. Juliet Chamber! 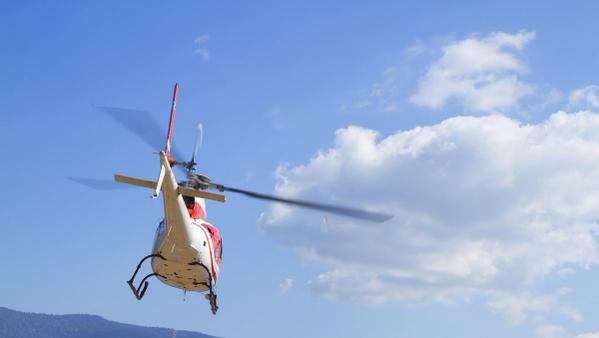 It all started with a helicopter ride! 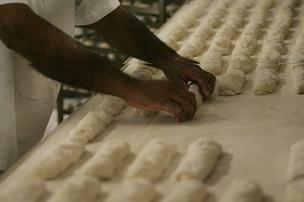 Commercial baker could bring 100 jobs to Wilson Co. Connecting Wilson County college students to local internship opportunities in 5-minutes or less! Plans for a 360 unit apartment complex, Northtown Gardens, were approved by the Planning Commission last night. This complex will be located on Nonaville Road. Providence United Methodist Church received Planning Commission approval on a 26,000 square foot facility on Rutland Road, across the street from Del Webb. The Tennessee Department of Revenue has reported that sales tax collections for Mt. 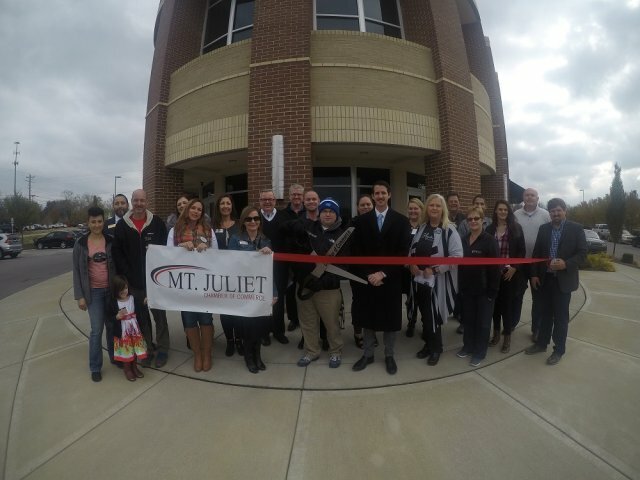 Juliet for December 2014 were $200,000 higher than sales tax collections in December of the previous year! Plans are to be open for business across the street in their new facility within the next few days. Officials expect the new Lifestyles Community in Providence to be open and welcoming residents in July 2015. Construction is expected to begin on the new Courtyard by Marriott in early 2015. This facility will be located just east of Providence Wine & Spirits. Greenway Construction is nearing completion on the new Robinson Park. Trailhead parking is being constructed and some remaining non-walking path work has yet to be done. Bids are expected to be let for this project as early as January, 2015. Plans call for an extensive intersection lighting package designed to greatly improve visibility and safety. Tennessee is the 4th "Most Charitable State"
Tis the season for folks to prey on unsuspecting businesses and individuals. 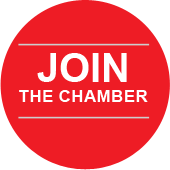 If a sales person or solicitor claims to be “working with the Chamber”, by all means give us a call to verify. Stopping by our office and simply picking up one of our business cards is hardly working with the Chamber. There are lots and lots of great folks with awesome products to sell; let’s not get taken by anyone less than awesome! PMDPs, PMDP PUD, and Site Plans were approved for several projects at the 11/20 Planning Commission Meeting. Included in the approvals were Premier Dodge Chrysler Jeep, White Castle, and the Stone Farm. Most of these projects will now be reviewed by the MJ Board of Commissioners. City Zoning Administrator Isabelle Ford has announced her retirement effective 11/30/14. Please join us in wishing her well in her retirement and thanking her for all she has done to help Mt. Juliet through the most rapid period of growth in the history of our city. The new Starbucks development to be located on the former Dollar General property on Lebanon Road is expected to on the December Planning Commission agenda. Construction should begin shortly after PC approval. Located in the Providence Marketplace, plans are to open for business on Wednesday, November 26. With expectation of hiring approximately 110 employees, applications are now being accepted. After many years in the pipeline, this project (to be located in the Paddock’s Shopping Center) is slated for the November 20th Mt. 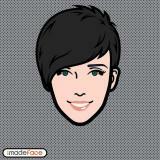 Juliet Planning Commission. Often discussed but rarely confirmed, FedEx has made it official and is now clearing land on 50 acres in Mt. 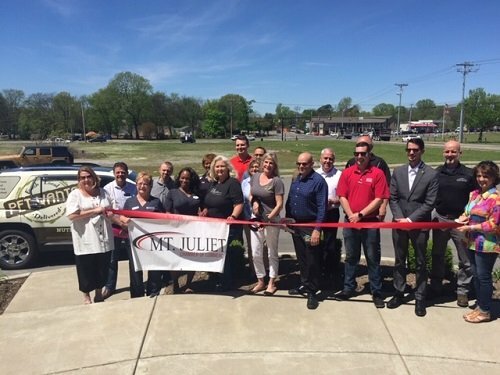 Juliet for their new 350,000 SF building to be located near the Beckwith I-40 Interchange. This facility is expected produce approximately 350 jobs. Commissioner Justice announced on Thursday that in addition to 300+ apartments (Avalon Development), plans are also currently underway to widen Nonaville Road to 3 lanes from Lebanon Road to Wind Tree Golf Club. City officials confirmed the bidding of what is expected to be a nearly $4 Million sewer expansion and upgrade project along Lebanon Road will begin in December. Bids for an additional $3+ Million sewer project to service the growing Providence area are already being received. The Help Center is now taking donations at their temporary location on Lebanon Road in space being donated by Environmental Science Corporation while the existing Help Center location transitions to a larger permanent structure. Please keep those less fortunate in your hearts and on your minds during this year’s Holiday Season. If your business is located along the parade route and or you wish to patronize a business along the parade route on Saturday, December 6th, please note that some businesses may need to make certain provisions to accommodate possible road closures and changing traffic patterns. Look at this recent facelift on Lebanon Road! The CSL Project was unanimously approved on 1st Reading at the BOC Meeting on 10/27. Commissioner asked for connectivity and access issues to be worked out before 2nd Reading. This project consists of Villas, Independent Living, Assisted Living, and a new Senior Activity Center on nearly 20 acres in the heart of Mt. Juliet on the property adjacent to the south side of Mt. Juliet Church of Christ. Plans for a new restaurant to be located in the Paddocks Shopping Center are currently working their way through the planning and development phases. Long rumored to be coming, it appears to be closer than previously announced. Preliminary reports indicate that the Lamb Brothers Flooring building is structurally fit to be converted into a Fire Station. The next step includes a feasibility study to determine total cost of conversion and possible funding options. Further findings and announcements are not expected until December. 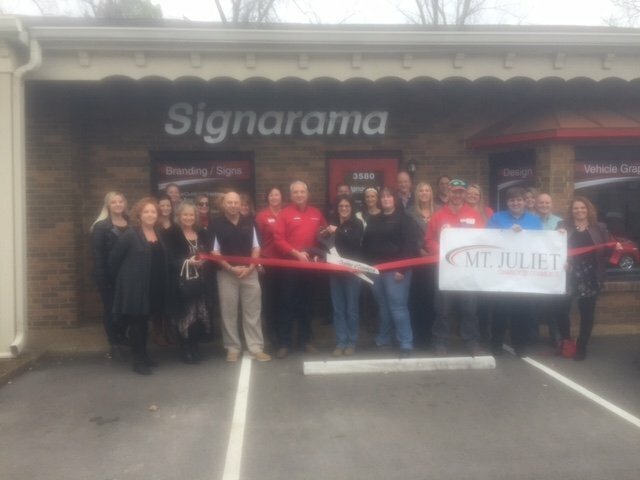 The Mt Juliet Chamber of Commerce will kick off our annual “Shop Local” Campaign next week. Be on the lookout for even more fun ways to shop local during the Christmas Season and support our local businesses! If you would like to be involved in #shoplocalmj and give away some of these cool stickers, let us know! Gourmet Donuts is currently undergoing an expansion which will more than double their current footprint. Along with the new addition which will include expanded seating space, they will also be expanding their hours of operation and adding a lunch and dinner menu. Glass Creel Luxury Apartments, located on Pleasant Grove Road behind Academy Sports / Walmart, are now leasing apartments with units already occupied. For more information call 615-773-7400. Wilson County Schools reported that 66 new students registered during the recent two week fall break, in addition to the 600 new students that registered at the beginning of the school year. 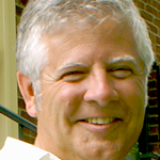 David A. Rhodes, CFP®, ChFC is moving to a new office @ 547 N. Mt. Juliet Road, Suite 300 effective November 1st. Cowden Subdivision is on 109+ acres on the south side of Interstate 40, north of Central Pike. Initial plans submitted to the Mt. Juliet Planning Department propose 344 single-family homes and 230 townhomes. Cowden Subdivision would be just south and west of Baird Farms at Providence, which has plans to build 269 single-family homes. Covey Rise is another development proposed in the immediate area, with 331 single-family homes and a commercial component planned on 186 acres on South Rutland Road. 2037 N. Mt. Juliet Road. Construction is now underway on the connector roads in Providence Central linking the current Adams Lane Road with the new Providence Parkway West. Plans call for complete connectivity from Providence to the proposed Central Pike Interchange. The Mt. Juliet Board of Commissioners have approved a feasibility study to determine if the current Lamb Brothers Flooring located on Nonaville Road meets the requirements to house a new City Fire Station. The results of this study should be completed within a few weeks. At the request of the developer, the Stone Farm project was deferred one month and is now expected to be on the November Mt. Juliet Regional Planning Commission Agenda. Early voting began on October 15 and runs through October 30. Hey Chamber Friends, we're kicking off our #shoplocalmj campaign soon. So, in order to get folks excited about that, from now until October 30 we're offering you an opportunity to win a FREE HALLOWEEN PIZZA PARTY at your office! Our goal is to encourage our community to buy local. We're arming our closest friends and local merchants with "I SHOP MJ" stickers and taking lots of pics to create a fun social media frenzy! Providence Central is a 270-acre development which runs along Interstate 40 between Mt. Juliet Road and Central Pike which will include multi-family units, retail and six-story office buildings. Construction bids for the Golden Bear Parkway Eastern Connector are scheduled to be let in January-February 2015. Speedway is building at the corner of Nonaville Road and Lebanon Road.The 3,900-square-foot fuel and convenience station, which will also include a Speedy Cafe casual restaurant, is expected to finish construction by the end of the year. Final preparations are being made to begin this project on Lebanon Road. A ground breaking announcement is expected soon. Looking for Space or Have Space for Sale /Lease? Please welcome Terri Merryman, the new Tourism Director for the Wilson County Convention & Visitors Bureau. Mt. Juliet will soon have a new coffee shop. Lasater's Coffee & Tea will be opening in the new Robinson Crossing development. Mt. Juliet has scheduled a “major development announcement” for October 2 at 1:30pm at I-40 and Beckwith Road. Under Armour and Federal Express have both expressed interest in opening separate large-scale industrial use facilities. We will keep you posted! 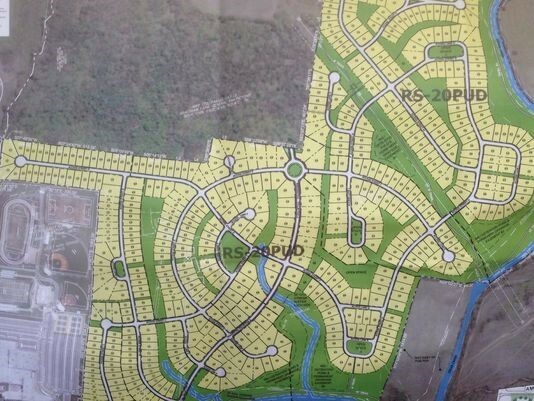 In addition to the Stone Farm, several other SFRH subdivisions are in various stages of development and planning. Baird Farm (269), Lynn Haven Estates (30), Covey Rise (331), and Nichols-Vale (450+/-) which is expected to break ground at any time. A significant portion of these developments will include Executive Style Homes. The entire Providence area and north to Paddocks is currently undergoing a comprehensive stoplight re-synchronizing project. 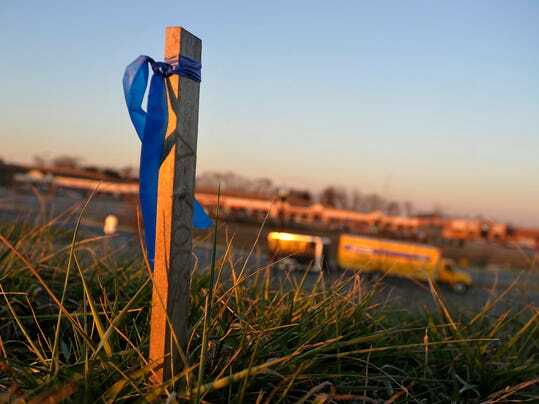 City officials appropriated the necessary funding and the project is already underway. The expected result of this project will be for commuters in this area to see improved traffic flow and fewer unnecessary delays. 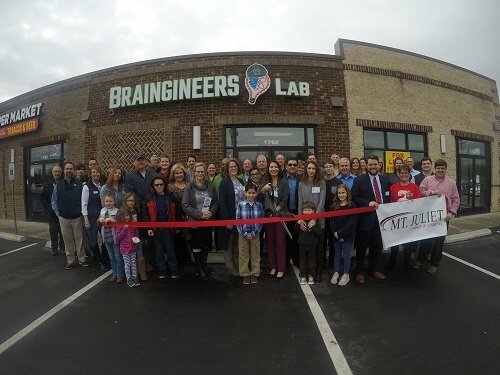 Their new location will be 14625 Lebanon Road, Suite B. Moving date is scheduled for 9/27. Be sure to visit them at their nice, new store! According to owner Judd Sellars, the new funeral home being built on N. Mt. Juliet Road is projected to open in late October. In addition, Sellars Park mixed use center is expected to open in the Spring of 2015. Sellars Park will consist of 7K square feet of retail on the first floor with 6K square feet of office space on the second floor. Wilson County government has recently formed a Wilson County Parks and Recreation Board and are needing community input on what we would like to see as far as parks and enhancing quality of life. If you have any suggestions, please complete the SURVEY. The Mt. Juliet Planning Commission approved development plans for a proposed Fed­Ex industrial site Thursday night. Mt. Juliet Chamber creates official Girl Scout Fun Patch. A new “I Climbed Mt. Juliet” patch will be available for the community’s Girl Scouts who complete a select number of activity requirements developed by nearly 30 local businesses. Wireless providerAT&T*, seeking to bring attention to a serious road-safety problem, is urging all Americans to pledge to stop texting while driving. 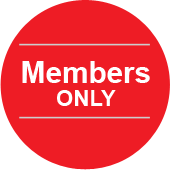 Join with others on Sept. 19 to make a lifelong commitment to never do so again. Sister's Whimsy is now open at their new location on N. Mt. Juliet Road in Falkner Landing, right next to Big Star Cigar. Hallmark has opened in the building next to Men’s Warehouse. Kirkland’s will be opening soon between Which Wich and Men’s Warehouse. Bojangles’ is in currently in negotiations to open a new location on Lebanon Road in front of the Publix Shopping Center. An official announcement is expected soon. Construction is expected to begin soon on their new project to be located on the NE corner of Lebanon Road and Nonaville Road. Final approval was granted at the 09/08/14 City Commission Meeting to approve a zoning request from RS-40 to CRC (Commercial Retail Center) on a 7.5 acre parcel located at Lebanon Road and Tate Lane. MJ BOC has approved a Special Census for the City of MJ. A request for updated information regarding the number of household residents will be hitting residential mailboxes as early as today. With such explosive growth it is important to have accurate census information in order to insure the city receives appropriate benefit from the state shared sales tax. This amount equates to approximately $95-96 per verified resident. All MJ residents are encouraged to fill out their form and return it to the City. This may also be done online at www.mjcensus.org. Final totals are due by mid-January. Final approval for a new stoplight to be installed at the Park Glen entrance on Lebanon Road is expected soon. Funding details for this project are currently underway. Which two cities are on the rise in Middle Tennessee? I'll give you a hint.....Mt. Juliet made the list! Now, what's the other city? Wallet feeling a bit heavier lately? Maybe it's because ‎Tennessee is considered one of 10 least expensive states to live! The Tennessee College of Applied Technology-Wilson County will start with three student programs: welding, computer information technology and nursing. Anyone interested learning more about starting or growing a small business is invited to stop by the Chamber on Tuesday, September 23 for a pre-scheduled meeting with a Small Business Counselor. There is no cost to attend however appointments are by advance registration only. For more information or to schedule your appointment, please call or email the Chamber Office. World Finance is currently in the process of relocating their Mt. 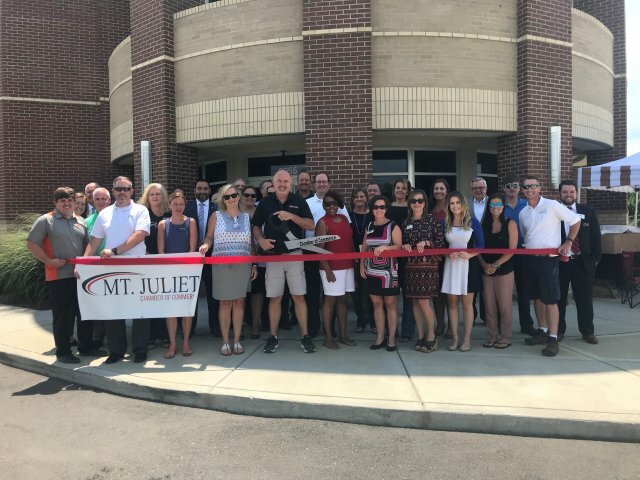 Juliet office to the Falkner Landing Retail Center on N. Mt. Juliet Road. Dr. E. Dwayne Lett and his staff recently celebrated the opening of their new plastic and reconstructive clinic at 660 S. Mt. Juliet Road, Suite 210. Construction is currently underway on the third of three approved liquor stores. This business will be located on the north side of Lebanon Road at the Wilson-Davidson County line. Construction is expected to be completed within 90 days. B & G Foods will soon be occupying 445,000 SF in the Park 840 Logistics Center. The remaining space is leased by the Nutro Company. GoodSports is a relatively new concept and the Lebanon location will be among their first locations. This proposed project will include a 115 room hotel along with a 60,000 SF indoor sports complex and is expected to be located in the Cumberland Center. Anyone interested in learning more about securing job with this company for the construction of the new Corrections Corporation Facility in Hartsville is invited to attenda Job Fair at the TCAT in Hartsville on September 4th from Noon until 4:30. The Nashville Career Advancement Center is hosting an event at the Mt. Juliet Library on September 18 from 1:00-2:30pm for job seekers wishing to brush up on networking, resume writing, and interview skills. For more info, call 444-9355. 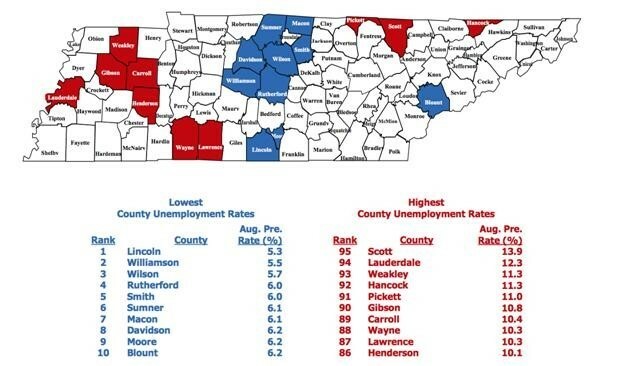 County unemployment rates for July 2014 show that the rate increased in 86 counties, decreased in five, and remained the same in four counties. Specific county information for July is available by CLICKING HERE. 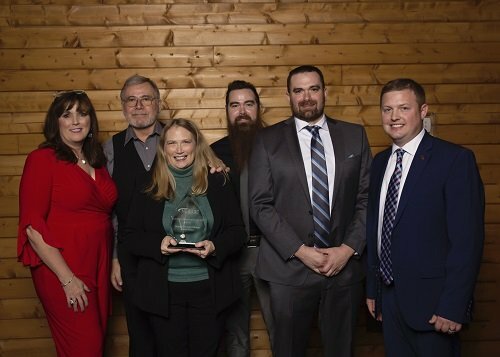 TheNashville Business Journalannounced the Wilson County Impact Awards winners at a ceremony back in July. The Impact Awards honors the leaders, community supporters, business owners and developers who are leading the charge for improvements and economic development for Wilson County. CLICK HERE to see the Wilson County winners! North MJ Business Council representatives are making plans to organize a Bluegrass Picnic to be held in Charlie Daniels Park on Saturday, November 1st. The Chamber is working with WC Mayor Hutto, WC Schools, and the Governor’s Office to help bring the TN Promise to Wilson County students. This program is a community-wide program and we will begin seeking mentors in the coming weeks. 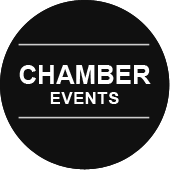 Plan to attend the next Chamber Luncheon on September 17th to learn more. Read more about this program in the article below. Your Chamber Leadership Team meets regularly with our local leaders to discuss items impacting business and our community. 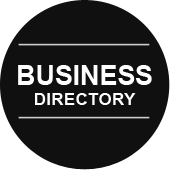 We are always interested in hearing from you so we can be sure to provide as much input on behalf of our investors as possible. Please be sure to let us know your thoughts, ideas, suggestions, or concerns. Our next meeting is coming up soon! Construction has already started on the build-out for a new business located in the former Goodwill Store in the Valley Center. Plans include a large space for a new Planet Fitness to be located in the vacant space. The construction taking place on Golden Bear Parkway north of MJHS is to provide sidewalks from the Stone Hollow neighborhood, across the bridge to MJHS. Completion is expected to take less than 90 days. Sister’s Whimzy has announced plans to relocate from their current location on Lebanon Road to the Falkner Landing at 3384 North Mt. Juliet Road (by stoplight at Mt. Juliet Middle School). Open House & Ribbon Cutting announcements expected soon. John Sloan (CedarStone Bank), Tony Bugher (TDS Telecom), and Nixon Pressley (Attorney / Horizon Land Title) were recently named new directors. This follows previously named new directors Samuel Short (Southern Bank of TN) and Heather Blanton (Lockbox Storage). Have A Plan! Be Prepared! Calling everyone in Sales (aren’t we all)! For all business owners and everyone on your team, make plans to attend this GREAT sales and marketing workshop. A limited number of Event Sponsorships are still available. For more information and to register, CLICK HERE! One of the best things about the Wilson County Fair is that it has remained principally an agricultural fair. This year will be the year to celebrate the farmer and their many contributions to our county. ORDER MUSIC CITY STAR TRAIN TICKETS TO THE FAIR! The other morning, I was sitting on my deck drinking a cup of tea, listening to the birds chirping and singing in the woods. There was a cool breeze blowing, so I sat there for a while watching one bird in particular who was picking up twigs, dried leaves, and bits of moss which she then carried off to another location in order to construct a nest. I once heard that most of the time, birds have four reasons to fly: to find food, migrate to warmer climates, gather nest materials, or to avoid predators. But studies have shown that there is one more reason why birds fly….sometimes they fly just because it’s fun! In fact, experts believe that 30% of the time, flying for fun is a bird’s main motivation. I know many of us spend much of our down time doing chores that simply have to be done. But, let’s challenge ourselves to try something new. I invite you to join me in matching the bird’s habits in the next few weeks. Let’s see if we can play and enjoy ourselves at least 30% of the time. In King Birtram’s case, that meant racing around town on a pair of red stilts! I probably won’t do that, but if that’s your thing, who am I to judge?